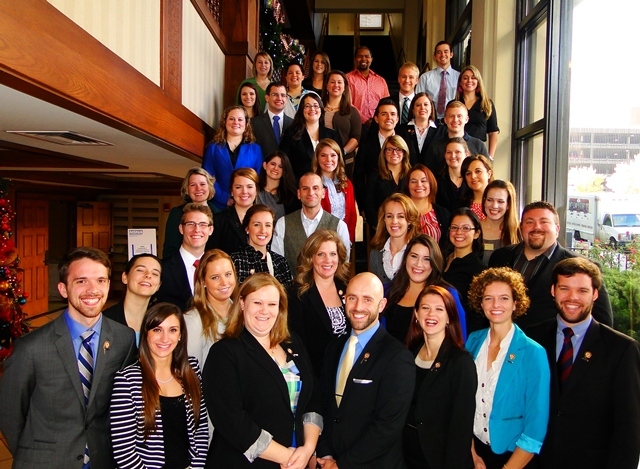 NSNA held its Annual Summer Leadership Conference hosted by Mt. Sinai on August 1. Over 20 students from different New York nursing schools including Hunter-Bellevue College, Borough of Manhattan Community College, Molloy College, Stony Brook University, and Wagner College came under one roof to learn more about NSNA and leadership. This was a great opportunity for students who were unfamiliar with NSNA to gain insight about the organization, for state and school associations to obtain additional knowledge on how to strengthen their chapters, and for nursing student leaders to exchange ideas with one another. NSANYS was so happy to see so many enthusiastic nursing student leaders and can’t wait until we meet again at our Annual Conference! The NSNA Council of State Presidents (COSP) is a meeting that takes place at the NSNA Annual Convention and the NSNA Annual MidYear Conference. The Council of State Presidents Planning Committee plans a meeting agenda that allows for the interchange and consultation between state presidents, the NSNA Board of Directors, and staff. State presidents and the NSNA Board of Directors meet to discuss the priorities of the organization, its activities and accomplishments for the year, and to share state association challenges and ideas. NSANYS President Giselle Campos-Dominguez was in attendance, and was able to gain great insight from the experience and knowledge of fellow Student Nurse Association Presidents and NSNA Board of Directors. In addition, the new COSP Planning Committee members from the Northern, Western, and Eastern election areas were elected. 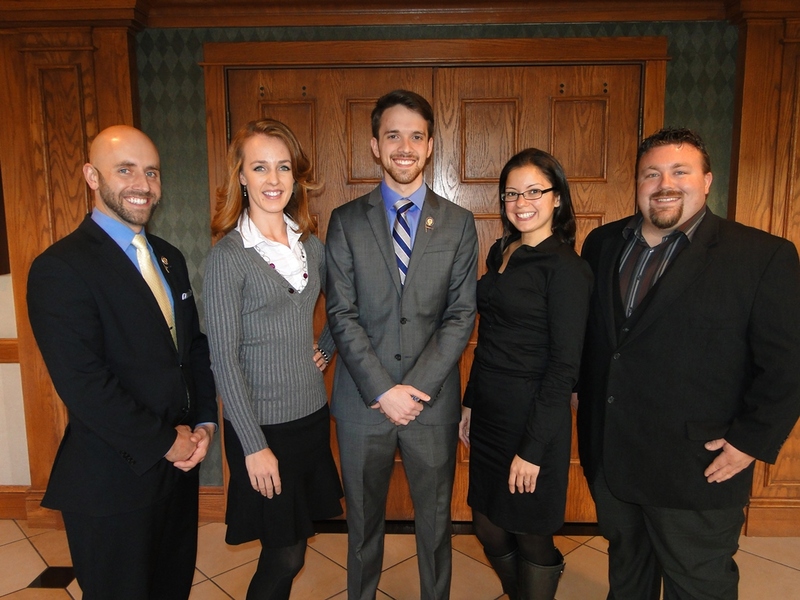 Giselle Campos-Dominguez was elected to represent the NSNA Eastern Election Area. 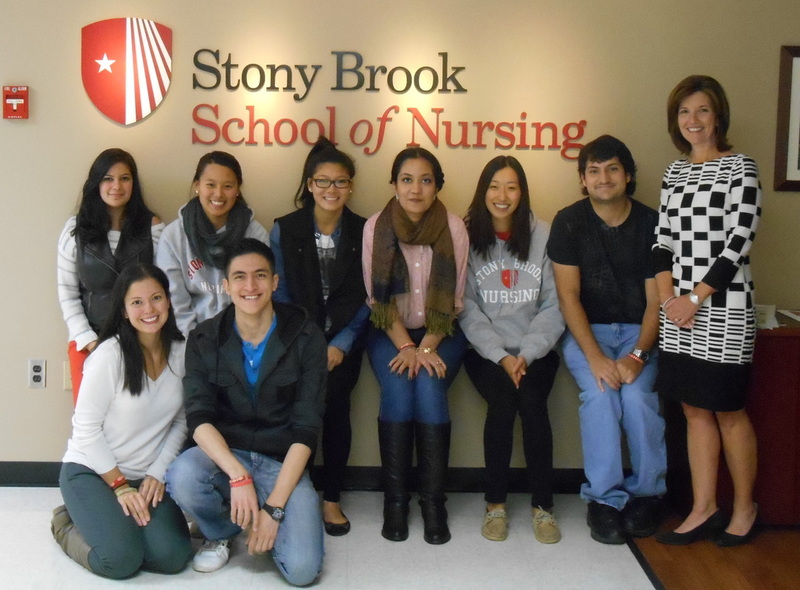 Thank you to Stony Brook University School of Nursing, for hosting the NSANYS October Board of Directors Meeting! Thank you to all the Nursing Students and the Faculty member present, for their enthusiasm, insight and feedback! It was wonderful to meet such a motivating group of Nurses and Nurses in training! A Special Thank you to Dean Xippolitos and Professor Della-Ratta for supporting Nursing Student Leadership! It is because of Nursing Faculty like them that New York will build a strong future generation of Nurses. The NSANYS Board continue to work diligently in representing the nursing students of New York. 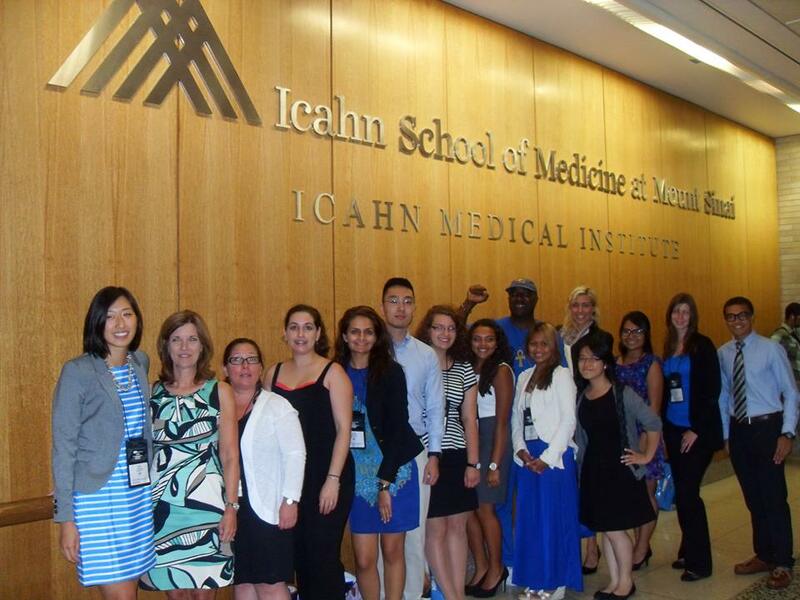 Here are a few of our directors at the NSNA Northeast Leadership Conference at Mount Sinai Medical Center in New York City this past July! Thank you NSNA and Mount Sinai Medical Center for Hosting the Event! 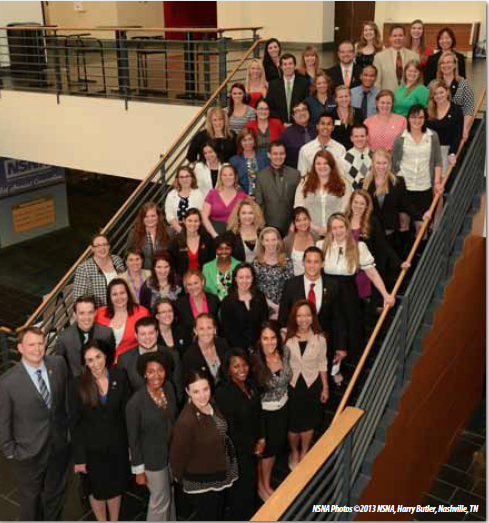 The Council of Student Presidents (COSP) met on April 4, 2013 at the NSNA Annual convention in Charlotte. The NSNA 2012-2013 Board of Directors and State Presidents' of Student Nurse Associations (SNA) from around the country met to exchange ideas, address accomplishments and address challenges. 2012-2013 NSANYS President, Kelly LaMattina, and 2013-2014 NSANYS President, Giselle Campos-Dominguez, were in attendance. Kelly and Giselle were fortunate to obtain insightful feedback and interesting ideas to bring back to NYS! Thank you NSNA for hosting the COSP Meeting, and Special thanks to all the Nursing Students in attendance!